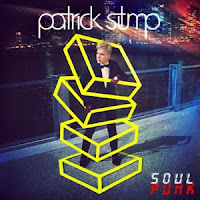 It’s hard not to be in awe of Patrick Stump. For his debut album, 'Soul Punk', the 27 year old Chicagoan wrote every song, played every instrument and produced the entire album. The result is a flawless, passionate and meaningful record he can surely be proud of. Stump’s first solo offering is a beautiful blend of 80s inspired electro R’n’B with a refreshing moral undercurrent. The theme of greed and selling out run through the veins of this record, notably evident on tracks like 'Greed' and 'The "I" in Lie' where he takes a being unfaithful to a lover as a metaphor for being unfaithful to your own values, warning us “You may love tonight but you’re gonna hate yourself in the morning light”. It’s evident that Stump could sing any song and make it sound amazing, his voice is simply that good and free from the shackles of pop-punk he’s been redefining himself in a positive way. His phenomenal flair and ability to turn his hand to anything he’s faced with come to light on this record. 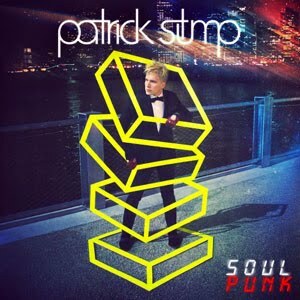 'Soul Punk' is possibly better than any other guise you’ve already seen Patrick in - oozing with confidence and enthusiasm.